The Italian Culinary Academy and its sister school, The French Culinary Institute, constitute The International Culinary Center in New York. Students who register with the Italian Culinary Academy are signing up for a unique cooking experience – one that allows them to practice their craft in both New York City and Parma, Italy. The School of Italian Studies at the International Culinary Center, as the program is now known, relies on a curriculum developed by the noted dean of the school, Cesare Casella. Focusing on Italian language, culture and cuisine, the program is characterized as groundbreaking, authentic and immersive. The moniker assigned to the school’s education is the “Italian Culinary Experience”, because it embraces cultural nuances that embody the spirit of Italian cuisine. The International Culinary Center in Soho, New York, has been offering world-class culinary courses to international students for over twenty years; though the Italian Culinary Academy is a fairly recent addition to its arsenal of chef school tools. The ICA shares space with the world-renowned French Culinary Institute and the school’s new Recreational Cooking Division. 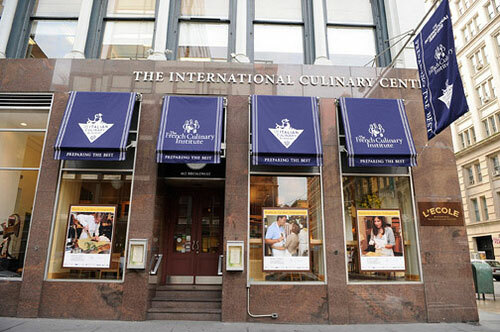 The Italian Culinary Academy, now known as the School of Italian Studies is located at 462 Broadway, New York, NY 10013 (tel: 888-FCI-CHEF and website: internationalculinarycenter.com. At the School of Italian Studies, students train in a custom-designed Italian kitchen, complete with a red-bricked pizza oven and a chef's station made from Italian marble. State of the art stainless steel equipment provides industry-standard exposure for eager chefs-to-be. An extensive library containing classical reference books and recently published magazines provides learning support for classroom instruction. Cooking theaters are utilized for guest-chef demonstrations and specialized training. Wine tasting rooms serve events designed to impart tasting and pairing skills to emerging oenophiles. Open-house receptions; including innovative online tours, invite prospective students to learn more about the school. Visitors are encouraged to tour the school's modern kitchens and baking facilities before enjoying a meal at the resident Zagat-rated on-campus restaurant, L'ecole. The high standard maintained at campus eateries embodies the professionalism and precision expected of Culinary Center graduates. Career Training Smart Options Loan is designed to finance your entire education. Flexible payment terms, as low as $25/mo. during school, and full repayment that starts six months after graduation makes this option attractive. Qualified applicants enjoy 100% financing for all education costs, at a competitive interest rate, which does away with overwhelming capitalized interest expenses. NJCLASS Loan, developed specifically for New Jersey residents, that can be used to fund tuition, in combination with other scholarships and financial aid. The $5,000 Italian Culinary Experience Scholarship (also applicable only to the Italian Culinary Experience program). The School of Italian Studies employs their proprietary, trademarked ‘Total Immersion’ mode of education, wherein students are constantly inundated with every aspect of Italian cuisine. By including language, culture; and of course, a wide variety of regional Italian cooking styles in the curriculum, the Culinary Center aims to impart a deeper understanding of Italy’s important place in the culinary world. Students learn traditional cooking methods and food styles from all across Italy, with regional nuances taking center stage. Travel abroad provides a worthy backdrop for the school’s flagship experience. The International Culinary Center’s School of Italian Studies offers two course programs: the 29-week Italian Culinary Experience which trains students in both NYC and Italy, and the 8-week Essentials of Italian Cooking program. This program is unique, in that it includes an opportunity to train in the school's New York kitchens and at The ALMA International School of Italian Cuisine in Parma, Italy. 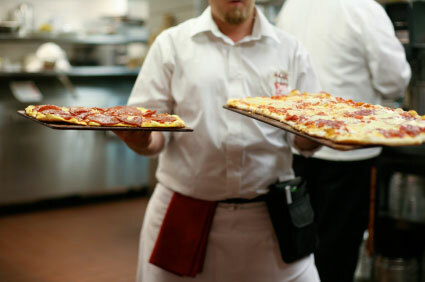 Italian cooking skills and classical techniques are passed to students by resident masters whose culinary lives are steeped in Italian traditions. By way of the ‘Total Immersion’ system, the experience features lessons in Italian language and culture, as well as internships in the best restaurant kitchens found in Italy. Student instruction covers both Northern Italian and Southern Italian cooking styles, with hands-on interaction with regional chefs. After 10 weeks at the Culinary Center’s New York facility, students move on to spend 9 weeks at ALMA facilities in the Ducal Palace of Colorno. Once American and Italian work experiences are achieved through working internships, students return to ALMA for final examinations. New York City Practical Review and Final Examination. On-site Visits – Student visits to production facilities, museums, farms and vineyards instill appreciation of Italian ingredients and reflect the history of the regions Epicurean traditions. Students observe and participate in harvesting and producing foods like truffles, Parma ham, Chianti wines, olive oil and Balsamic vinegar. Staged Demonstrations – Cooking arenas are highly effective for teaching extremely specific regional cooking techniques. Stadium seating and well-placed mirrors provide a birdseye view for students to absorb each step of their Italian culinary enlightenment. ALMA Final Practical Examination and Review. This is the premier program of its kind worldwide and comes highly recommended by students who have completed it. The resume potential for such an entry cannot be underestimated. Diverse exposure is viewed highly by employers, and an immersive education in the culinary traditions of one of the world’s important gastronomic contributors, illustrates your commitment to getting it right. Each student is assigned a personal work station within the School of Italian Studies’ fully equipped, authentic Italian kitchen. Participation in practical hands-on imitative practice sessions is overseen by highly qualified chef-instructors. 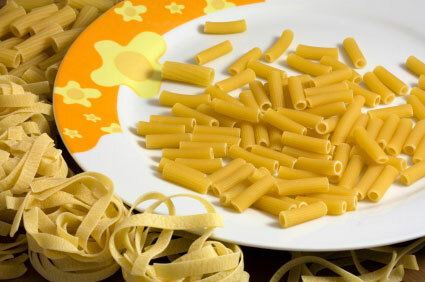 By first demonstrating precisely, then critiquing students abilities to recreate dishes, Italian chefs impart refined technique – along with the theory behind it. For a taste of authentic Italy, in cosmopolitan New York City, consider studying Italian culture and cuisine at the International Culinary Center’s School of Italian Studies. Students are steeped in culinary traditional and the regional influences that define Italian cooking. Most attractive for dedicated professionals is the one of a kind culinary immersion that results from the Italian Culinary Experience, the school’s most comprehensive program. Completing the degree requirements of the program involves training in Domestic and Italian kitchens before international work-study. On the job training, in Italy, is an opportunity to build your career culinary point of view in an inspirational hotbed of culinary significance.